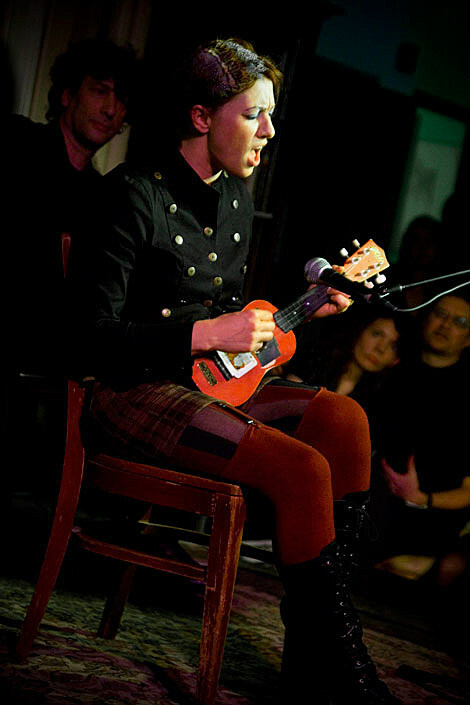 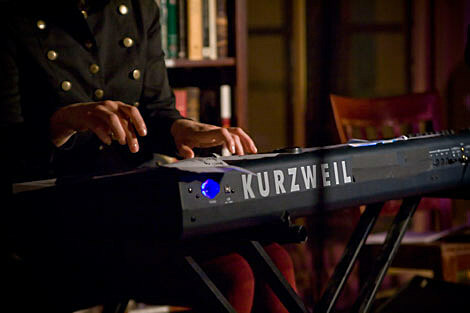 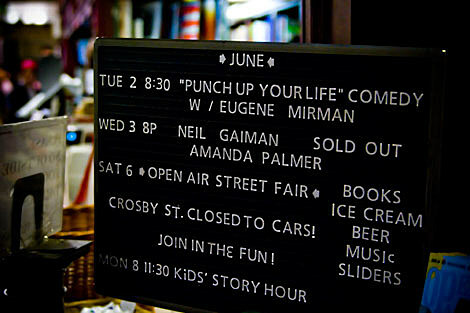 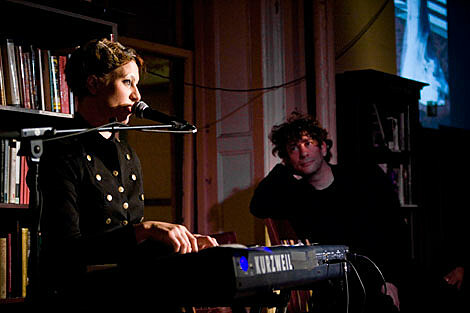 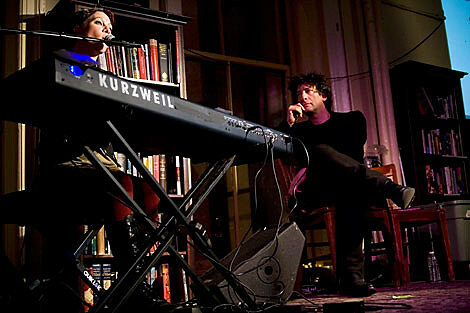 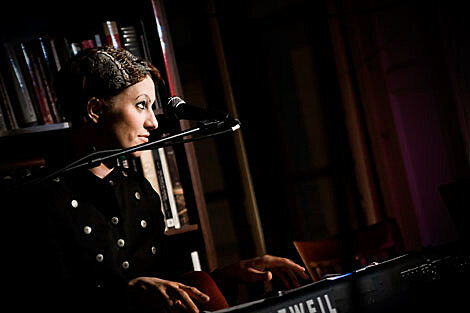 [Wednesday] night after an impossibly drizzling/humid day, Neil Gaiman & Amanda Palmer performedat Housing Works Bookstore as a part of SPIN’s “Liner Notes”, an event that combines a musician and an author to discuss creativity. 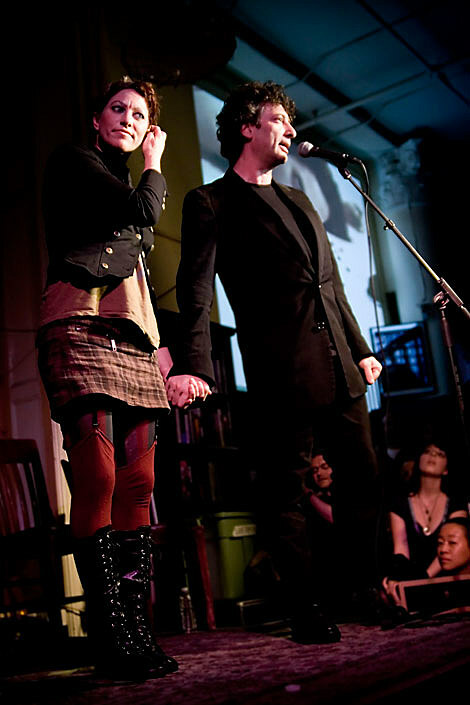 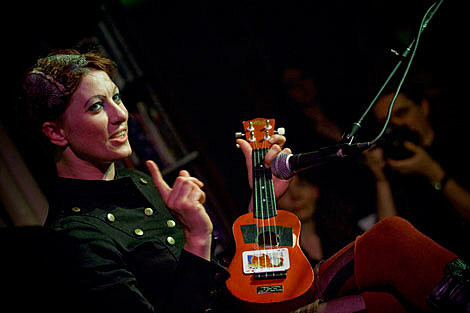 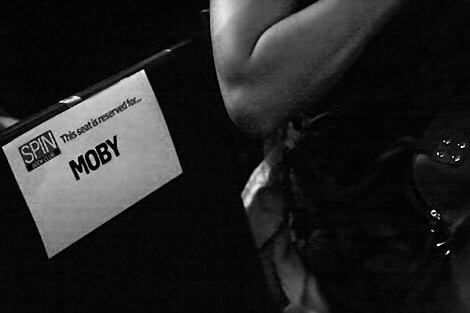 This was the second event of the series, the first being Augusten Burroughs with Tegan (of Tegan & Sara). 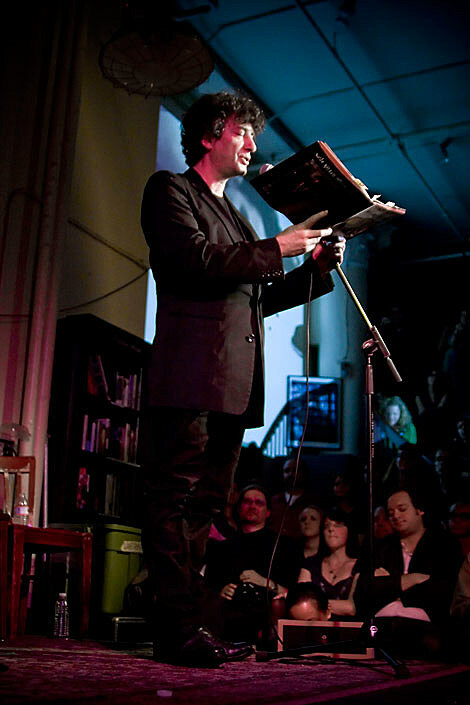 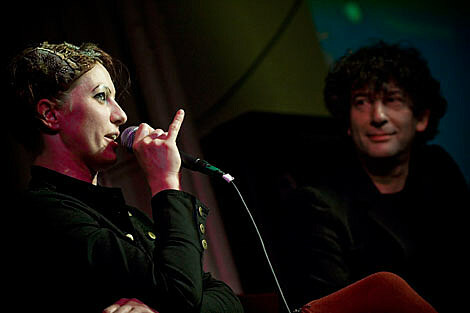 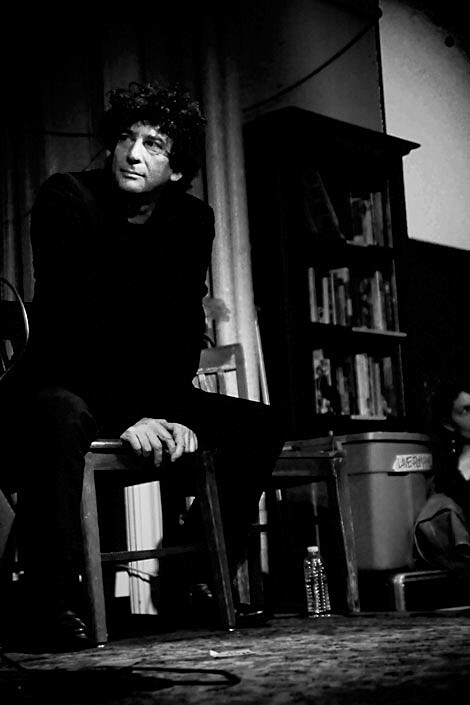 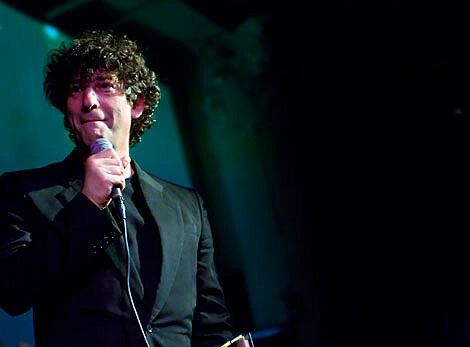 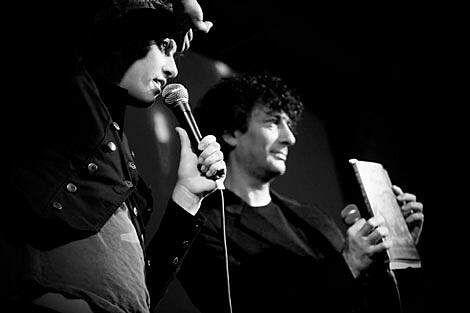 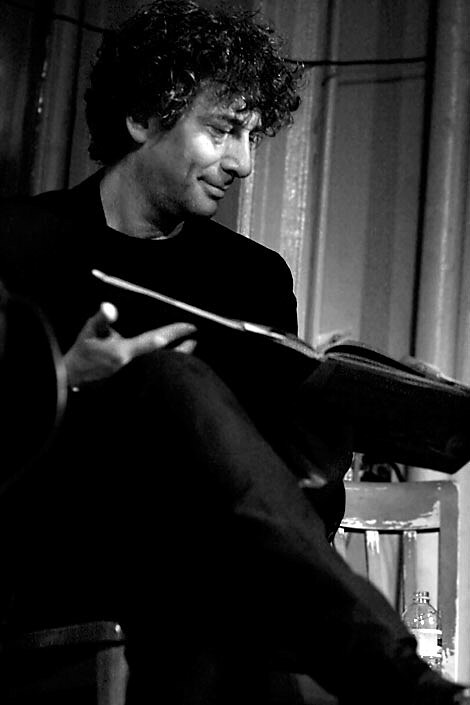 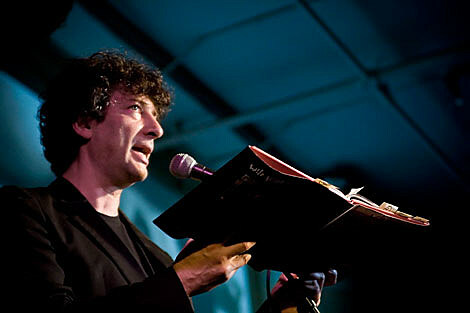 The set opened with Gaiman reading a section from he and Palmer’s soon-to-be released book Who Killed Amanda Palmer? 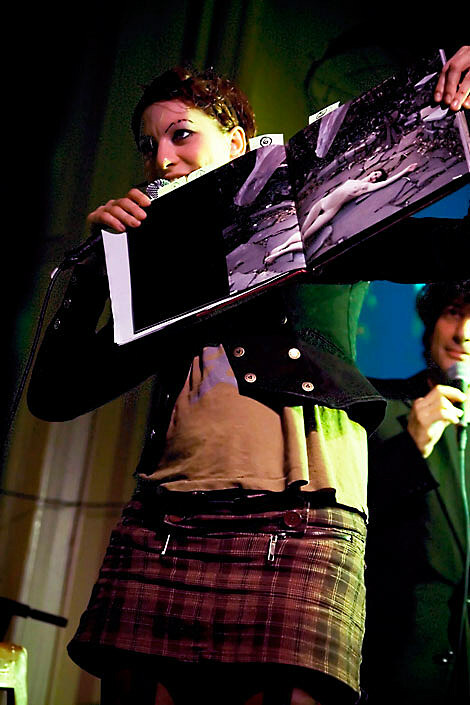 The piece seemed to be a preface or at least an opening story to the book, a collection of photographs of Amanda Palmer dead with short stories by Gaiman.